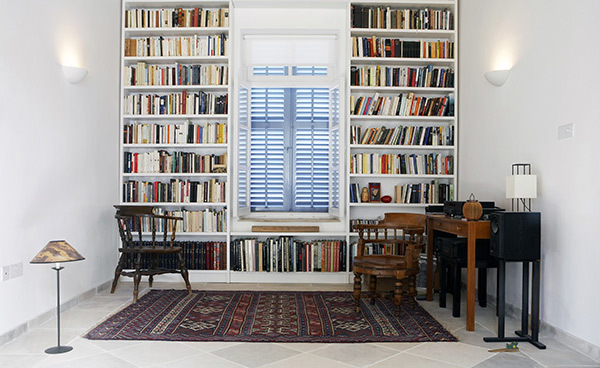 Floor to ceiling bookshelves, cabinetry and doors trick the eye by drawing attention upward to generate the impression of height so that your room will look as if it is taller and the space will feel more open. Contact ASA. We can help craft a feeling of grandeur in your space. Adding shelves or a mantel to your fireplace not only improves the overall appearance of the room, but also add some much needed storage or display space. Perhaps you are interested in a place to hang your Christmas stockings or somewhere for your favorite framed family photographs and trophies. How you plan to use your fireplace mantel or shelves has just as much of an impact on your choice of materials as does the décor of the room. Choosing the right materials for your mantel of shelves should be your first decision. Marble is a common choice for a mantel as it adds a touch of elegance to any room and will last virtually forever. Stained and sealed hardwoods not only make great mantels and shelves for the same reasons, but also at the same time can give your room a homier feel. Take a good look at the décor and style of the room and consider carefully how each of the different materials will look. Also take into consideration the effect you are trying to achieve and what your mantel and shelves will be used for since this will have a profound impact on your final choice of materials. While choosing the right materials for your mantel and shelves is very important, you must also take the overall style into consideration as well. Once you install your new mantel and any shelves to the side or above the fireplace, it will become one of the main focal points of the room. The style you choose should complement the overall theme of the room, including both the décor and the furniture. Although marble tends to work well with most décor, wood may be a better choice. You can stain or paint it to match or complement most styles and tastes. You can also have wood carved into a wide array of shapes and edge designs to ensure a better fit with the rest of the room. Again as you look at the materials be sure to consider what if anything will be sitting on your new mantel and shelves to ensure you make them deep enough. Be aware though that an overly deep mantel may end up dwarfing your fireplace so take your time and choose everything carefully.